FOURTEEN hymntestants (contestants) have been selected to compete for the grand prizes on Hymnodia reality television show, which is set to redefine and nurture talents on rendition of hymns. The Hymntestants, who will enter the Hymnstitute (the show’s house) on Sunday, February 10, 2019, were revealed through the Hymnodia social media handle: @hymnodiahq on Instagram, Twitter and Facebook. They were selected by a credible panel of judges after a painstaking process including a two-day audition conducted for over 200 contestants shortlisted from across the country and post audition evaluations by the Hymnodia faculty. The 14 hymntestants were drawn from a pool of over 1,500 participants that indicated interest and registered to prove their skills. The panel which conducted the audition included Dupe Ige Kachi, singer, songwriter and vocal coach; Seun Owoaje, pianist, composer and former music lecturer; Benneth Ogbewi, event consultant and Sunday Olawuwo, music director of Archbishop Vining Memorial Church Cathedral, Ikeja, Lagos. They all agreed that the initiative has pushed out abundant talents. “I have heard voices that do classical and contemporary rendition of hymns, and it would be fun to see how these voices come together to play out in the Hymnstitute,” Kachi said. “I see potentials in the contestants and l commend the initiator for taking the bull by the horn to nurture talents,” Owoaje said. The premier reality TV show commenced airing on February 3, on satellite and terrestrial channels. It will reward the ultimate winner with a prize of the Asaph (a specially designed award named after David’s chief musician), N5million and a brand new car. The grand finale is scheduled for April, this year. 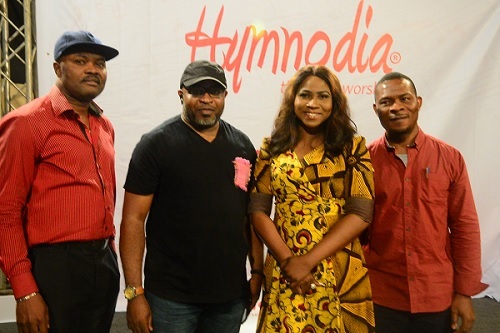 Hymnodia, which is conceived by Philosoville Limited, is available for one hour every Sunday on TV via Lagos Television on Channel 256 on DSTv, Channel 90 on GOtv and Channel 118 on Startimes from 12:30pm and is also streamed live on the LTV App available on the app store. The Managing Director of Philosoville Limited, Kufre Ekanem stated that other partner stations would soon join in broadcasting the reality show. He assured that the audiences would be regaled in the flow of creativity of choir performances during the 13 weeks of wholesome fun which the initiative would run through.